Expand your Starship deck plans with this bridge tile set! Allows the construction of starship or other sci-fi control panels and bridge seating. 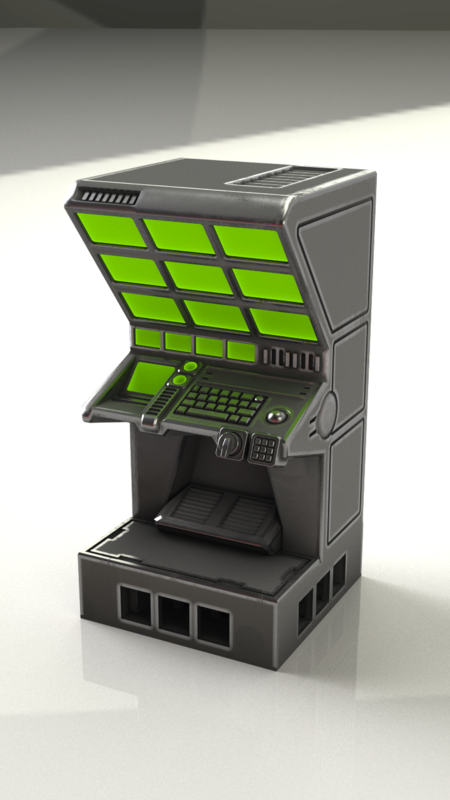 Includes seven control panels, three seat variants (based and unbased), and a doorway, suitable for use with 28-32mm miniatures. Compatible with the OpenLOCK system created by and available at Printable Scenery. 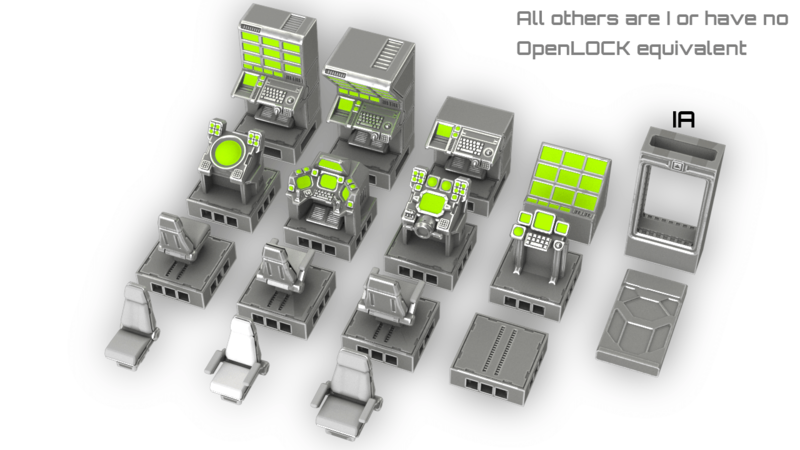 You will need the basic OpenLOCK templates to print clips to connect these products, available from Printable Scenery. These tiles are commercially available versions of 2nd Dynasty's 2017 Starship Kickstarter. Please note that these are STL files only! You will need a 3D printer or print service in order to print the parts. The parts have been designed with FDM printers in mind at 100-200 microns (100 or less recommended for detail pieces) using PLA or ABS plastic, although you will achieve better results with SLA/DLP printers (resin) or higher resolution FDM prints. You may need to rotate objects for optimal printing or add supports, particularly for overhanging areas, such as the top of door frames.